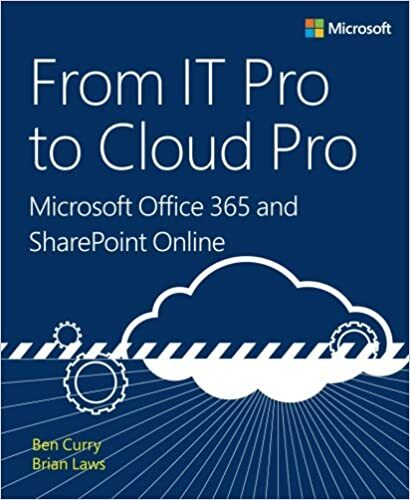 Over the past few weeks, I have been asked 4 times by customers if they need to do backups of their Office 365 (O365) applications, email and SharePoint documents. Being a belt AND suspenders kind of guy, and having grown up and gotten old, in the classic IT space, my gut answer was “HELL YES!”. This is not your father’s IT department. We are in the cloud; does this make a difference?! This is “Office 365”; does that make a difference?! I needed to do some soul searching and really look at why we do backups and do we still need to do backups. Disaster recovery (DR). Stuff breaks and we need to be capable of recovering. Business Continuity (BC). The business needs to continue doing business no matter what happens. Regulatory Compliance (RC). The government makes all kinds of data demands on businesses. Legal eDiscovery (ED). Summary judgements occur, when a business can’t produce documents. Point-in time restores (DUMB). Your user will delete stuff they should not have. Ok, that is enough. I am sure I missed one or two reasons, the point being, there are lots of reasons to do backups. I could go into each of these reasons in depth, but each has lots of subtleties and nuances that require an in-depth discussion about a business’s specific requirements. What I am going to do is describe several features/ capabilities of O365 that will protect your applications and data the way a backup would. Ok, these features are great and you can see how you would be able to get by without a backup. You can go without a backup of your Office 365 with a little planning, it’s the future. We at Ryantech are your resource to help decide where you stand in the backup/no-backup question. Additionally, here is a book that may help with all the other options above.